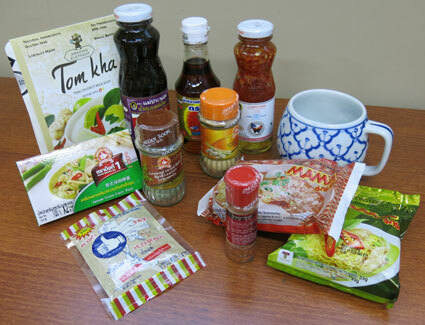 Our customized "Thailand Box" is a great gift idea, full of popular delicious imported Thai pantry items and our gorgeous hand painted Thai bowl with dome lid. We will personally write the recipients name in the Thai alphabet (and English), along with "Happy Birthday" in Thai (as shown) or another greeting you may like. 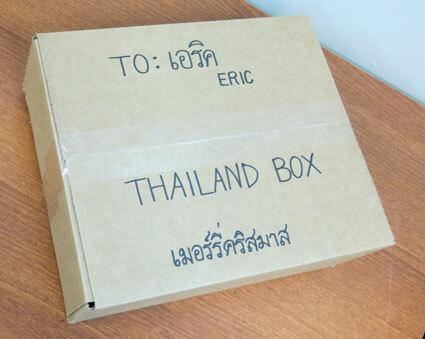 At checkout, please spell the name(s) you want on the box, and we will write those names in Thai so the box is ready to put under the tree. $49 value. 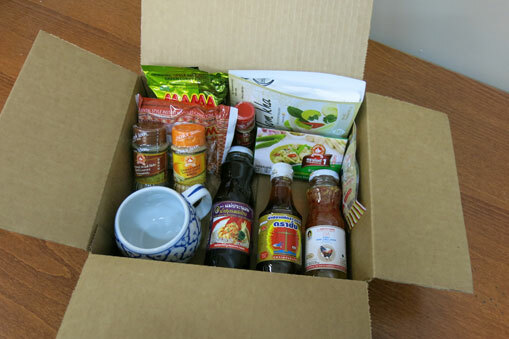 We will pack everything using superb methods to ensure perfect arrival. Ceramic Bowl with Lid, 5"
At checkout in our "Comment Box", please spell the name(s) you want on the box, and the greeting (if any). We will write it in Thai and English.